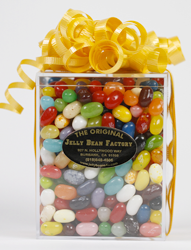 Jelly Beans and other candies are available from jellybeans4u.com . 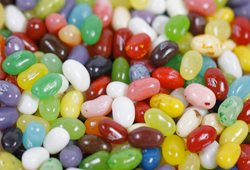 Jelly beans or jelly eggs are a type of confectionery that comes in many different (primarily fruit) flavors. 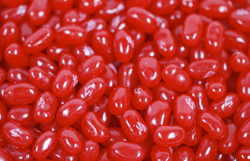 They are small (the size of a red kidney bean or smaller) and usually have a hard candy shell and gummy interior. Our price: $9.00  1 lb. Take your time with this flavor. It's a great mainstay. The taste lasts a very long time, is distinctive, yet subtle. No surprises, just long-haul delicious. People who choose A&W Cream Soda as their favorite are a bit brainy, generally unfussy, and prefer to read a lot. Because they tend to sip Cream Soda ever so carefully whilst reading, they may look a bit distracted. But never forget the old adage; don’t judge a book by its cover. A flavor born of the Wild West and once served in ice cream saloons, the real soda pop syrup has earned it favored status among the rodeo riding set. Even if you don’t have a cowboy for an uncle and there's no dust in your soul, this bean is an American original. One bite and you will be swept up in a delectable fantasy of strawberries, blueberries and raspberries. The difficult part, however, is actually bringing yourself to take that first bite. Berry Blue looks so beautiful, innocent and free that it seems almost unfair to eat it. 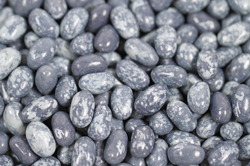 Specially created for a Presidential Inauguration, Blueberry is in the BLUE in red, white and blue patriotic beans. 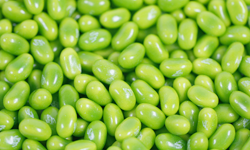 All of Washington was awash with over 3.5 tons of beans that went to the capitol for the inaugural parties, or to be more precise, 2?? 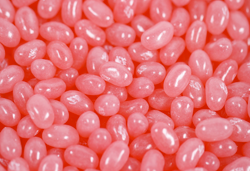 Jelly Belly beans. Today, it’s still true blue. Surprising popcorn flavor just like you get at the movies. 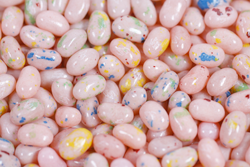 Funny how they can get a flavor like that into a jelly belly, but leave it to the candy makers at Jelly Belly to knock your socks off. You either love it or hate it. And those who LOVE it have made it the number one most popular flavor of all. Even Orville was a fan. Our price: $32.99  2 lbs. 11 oz. Carousel's Snack Dispenser is the perfect addition to any room in your home, office, or business. Molded of high imact plastic for years of lasting enjoyment. Stands 9 tall. 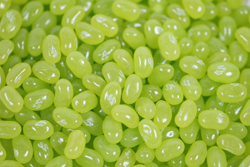 Fresh melon flavor sings “good morning, good morning.” It is so much like a fresh melon you won’t believe it’s a jelly bean. Serve it at your next brunch. Like a trip to a Seattle coffeehouse without the rain. Full-bodied coffee in the center, topped with a dark roasted shell and a whisper of foam. A show-stopper-at-the-circus kind of flavor. Our wild popcorn recipe coupled with a caramelized sugar coating creates the most dramatic and explosive taste experience. Eat one and you are transported to the flying trapeze--no net. 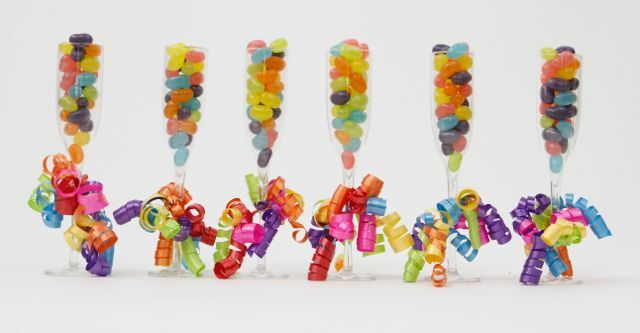 Champagne Glass filled with 1.5oz of Jelly Beans. 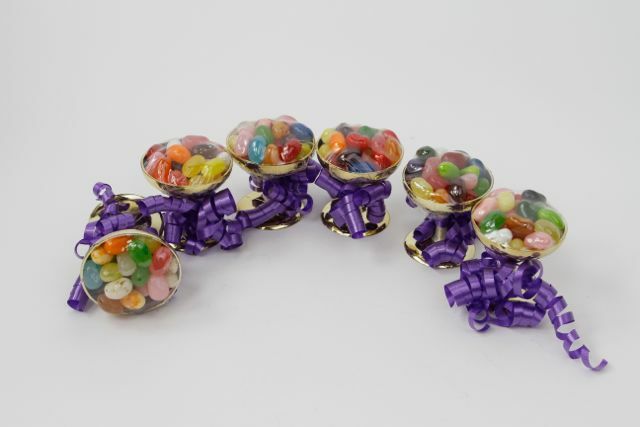 You may personalize these glasses with your colors of Jelly Beans and Ribbon. This item is also available with M&M's, please call for details. 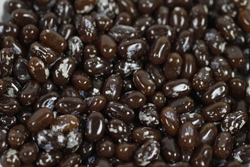 Real milk chocolate is melted into the heart of this bean. This flavor is the best choice for chocolate lovers. And it goes with so many other flavors, that you can spend the day in a chocolate-induced haze. This is a flavor to warm hearts -- and bellies -- for it has wonderful associations with snowy nights and cuddling in front of the hearth. Cinnamon is a classic flavor among candies, and this one is just right, neither too hot, nor too bland. That’s probably the reason it’s been one of the most beloved flavors we have ever made. Here’s a tropical treat made with real coconut flakes. So now you know our secret--use the real stuff when you can. 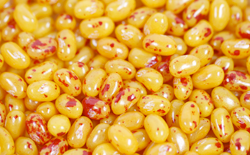 True flavor makes this one of the most enduringly popular flavors of Jelly Belly ever made. What trip to an amusement park would be complete without a face full of cotton candy? This flavor is something to sink your teeth into. Terrifically tasty, sweetly sumptuous and always a winner. 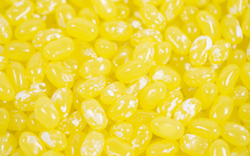 If Crushed Pineapple Jelly Belly bean is your favorite flavor you are probably very laid back. You take life as you find it and have a sweet, never unkind, sense of humor. The secret syrup in the soda pop flavors this hit that went to the top of the bean chart. 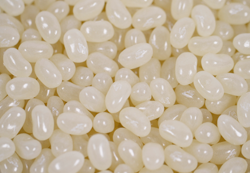 The initial reception was so rapturous that it has secured a place in the pantheon of all time great jelly beans. 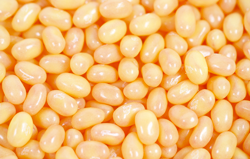 Here’s a creamy bean with the rich flavor of custard. 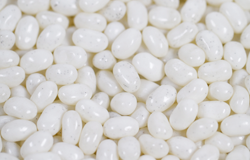 Real vanilla beans are used in the shells of these elegant beans that are so reminiscent of French vanilla ice cream. Simply sublime and surely world class. 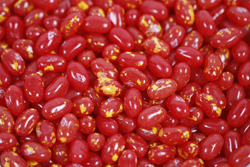 It was among the very first Jelly Belly flavors initially released, and always among the most popular flavors ever made. Fresh, sweet and toothsome. Wins a popularity contest every time. Our price: $11.00  1 lb. 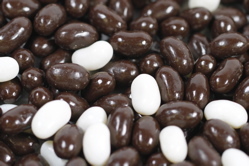 Jelly Belly Dark Chocolate Dipped Coconut. Luscious chocolate wrapped around juicy Coconut flavor! A great gift! This classic combo is made all the more mouthwatering with the true-to-life taste of the famous Coconut bean. 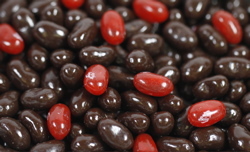 Jelly Belly Dark Chocolate Dipped Raspberry jelly beans. 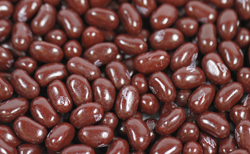 Luscious chocolate wrapped around juicy Raspberry flavor! A great gift! No flavor combination is quite as decadent as juicy fruit smothered in rich dark chocolate. 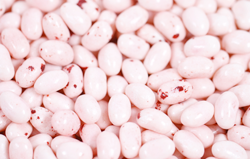 Chocolate-dipped Raspberry beans are as elegant as they are delicious. 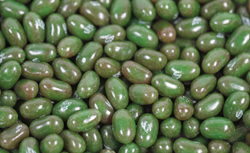 Our price: $8.50  1 lb. 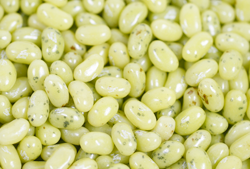 Real puree of D’Anjou pears imported from France makes this bean a five star flavor. Weird but true, even the distinctive pear texture comes through each bite. Juicy, fresh and lush. 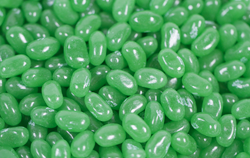 The fuzzy little fruit from New Zealand inspired a write-in campaign by Jelly Belly fans who simply had to have a Kiwi flavor. 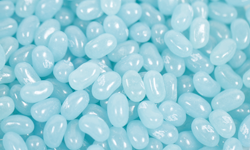 We heard the drum beat loud and clear, but the candy makers had fits because it was the most difficult of flavors to get just right. After all, the kiwi is delicate, refined, subtle and oh so tender. And that sums up this bean that seems to be more complex than first taste. 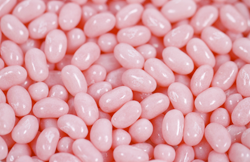 An old-fashioned flavor that is instantly recognizable from your childhood. 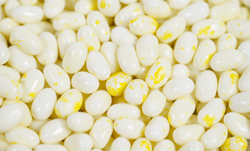 The white speckles are reminiscent of the sugar topping of lemon drops. 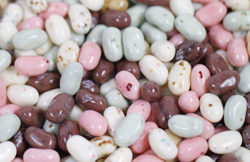 This might seem your ordinary jelly bean flavor, but watch out. Prepare to be awakened from your daily tedium. Real oil from the zest of lemon brings just enough of mouthwatering tartness. Balances the sweetness when mixed with other fruit flavors. Tart, refreshing citrus taste comes from the zesty drop of lime and lemon oils swirled into the recipe. 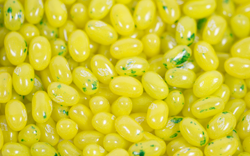 Here’s a secret not many people know: This flavor begins with our lemon center from Lemon Jelly Belly, and is dressed with a lime jacket. How very, very fashionable. 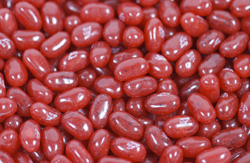 The first licorice candy was really an attempt by an English pharmacist to disguise the bitter flavor of medicine. It was so good tasting he took the medicine out and made a candy. 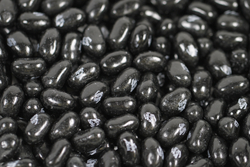 We use real licorice in our authentic bean, which is always good for the candy soul. Our price: $16.99  1 lb. 7 oz. 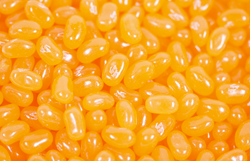 The juicy, rich Manilla mangos of the Philippines inspired the creation of a new Mango Jelly Belly bean. 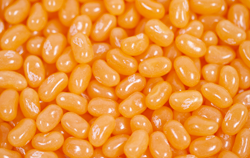 Real puree of mango plus mango juice sweeten the heart of this terrific bean. Exotic, fragrant, and mouthwatering. 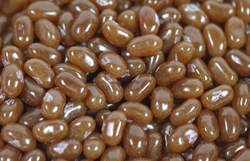 A jelly bean made with a splash of agave cactus juice -- the stuff they make real tequila from. The lime juice and oils of lemon, lime and orange bring out the south-of-the-border flavor. Add a pinch of salt and margaritaville will never be the same--but remember, no alcohol used here! 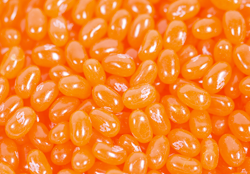 If Orange Sherbet is your favorite you are either under ten years of age or over sixty. Our researchers have never quite worked out why this should be, but any insight would be greatly welcomed. 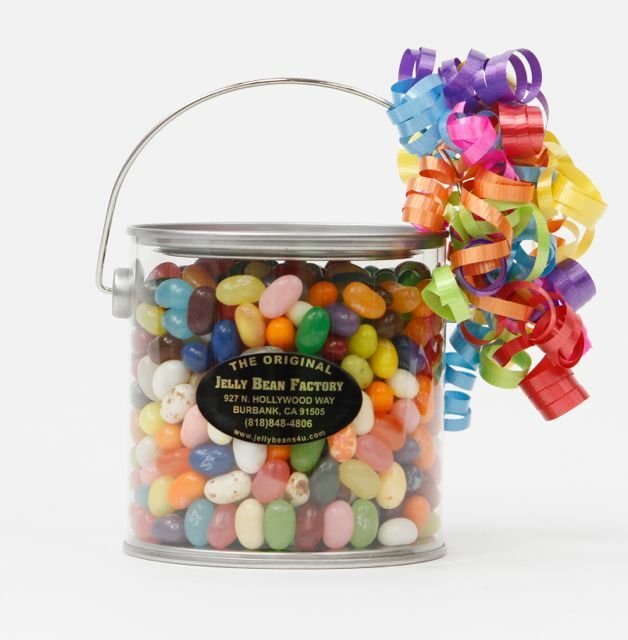 Fun filled paint pail with Jelly Belly Jelly Beans. Clear with silver lid. 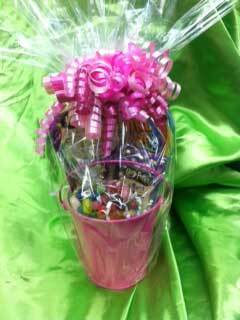 If you have a specific flavor or candy that you would like this container filled with, please email us when you place your order. Please be aware that the price will vary if candy other than the above mentioned is requested. Coconut and pineapple combined into an “umbrella drink.” If a vacation at the beach is your fantasy, this bean will positively transport you to a state of bliss. For some reason, Pink Grapefruit loving people are elegant and have the most discerning taste. They are always in the pink, most likely because they often start the day with a grapefruit. Plum Gooood! That says it all for the new Plum flavor of Jelly Belly beans. Lush and ripe with just a hint of tartness from the skin of the plum. 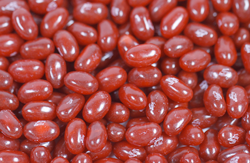 The center is red, just like a summer plum and the shell is a standout, too, because Mr. Jelly Belly wanted it to resemble a plum. 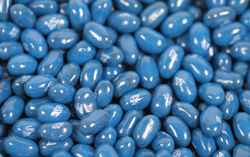 It looks like no other Jelly Belly bean with a tint of light marbling over the dark blue shell. 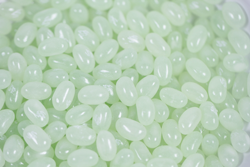 The flavor of a fresh Macintosh apple, and a bit more tart than Green Apple Jelly Belly. Only the most devoted fan might notice it’s red on the outside and white at the center just like an apple. And, if you are a member of Jelly Belly Apple Addicts Anonymous (as they are called), don't worry. There’s always Green Apple and Caramel Apple. Hey kids, get ready to pucker up. 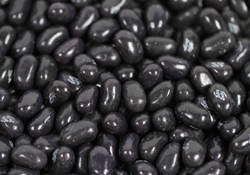 These beans have sour power hitched to fabulous Jelly Belly style fruit flavors. 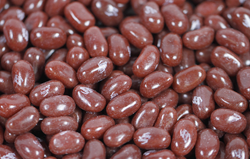 This collection has soured up beans in flavors of sour apple, sour cherry, sour grape, sour lemon, sour orange, sour blueberry, sour raspberry, sour watermelon, sour peach, and sour strawberry. Zoom on up to the sour zone. Lots of cream cheese flavor and strawberries top it off. 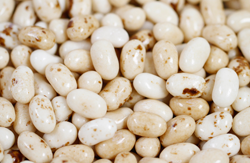 This bean is weak-at-the-knees, toe curling, downright unbelievably delicious. Even its femininity as a flavor does not put off strong men who are known to cry at the mention of its name. 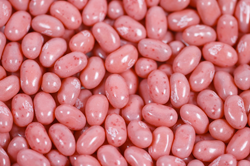 Real strawberry juice cooked down to the most intense flavor makes this a rich tasting bean. Sunday mornings with a fresh scone slathered with strawberry jam imported from France, that's the idea. 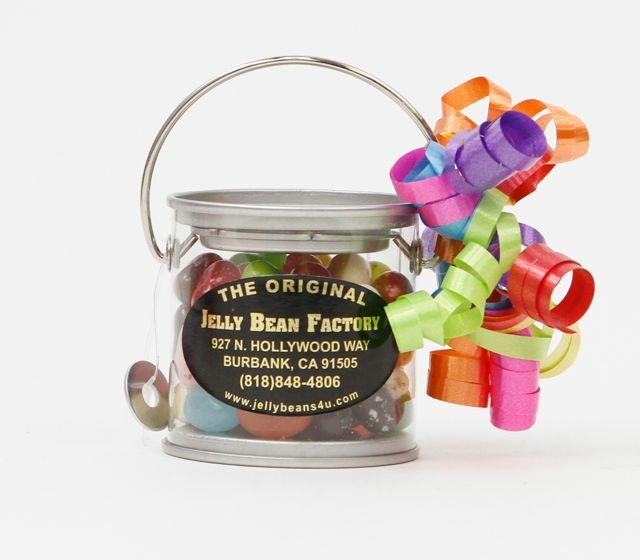 Everyone's favorite toast topper makes a bold statement in Jelly Belly beans. 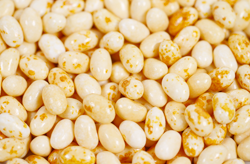 The oil from the tangerine zest creates a bean bursting with vibrant citrus flavor. 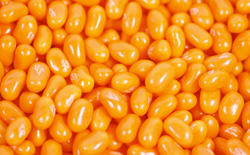 Tangerine dreams of paradise are only a bean away. Savor it. See the campfires burning, the whispered ghost stories, the marshmallows toasting, the smiling faces huddled in blankets? Take the camp out experience everywhere you go simply with a pocketful of this flavor. 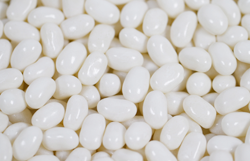 If Toasted Marshmallow is your favorite Jelly Belly bean, you are a team player, always rise to a challenge and have a perfectly neat backpack. A fav as soon as we made it. 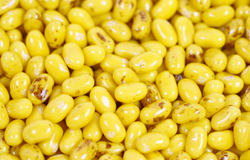 We can’t say the name, but this bean tastes like a famous chewing gum. Little Richard, eat your tutti-frutti heart out. Anyone who hasn't tramped the countryside on a summer's day and been torn on brambles may not readily appreciate the genius of this flavor. These are not berries that are merely picked. They are searched for, fought for, and conquered. 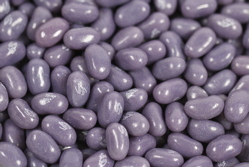 The transformation to a wild and eye-popping jelly bean made with real puree of blackberries is a secret known only to Mr. Jelly Belly.